Bitcoin’s phenomenal rise to prominence represents a huge influx of money into a new marketplace. However, ironically, the cryptocurrency has also been subjected to political and social interests whose influence has gained traction because of the cryptocurrency’s apolitical ideals. Set up as a libertarian expression of distrust in current financial systems, bitcoin’s decentralised ledger, enabled via blockchain, has made it the perfect foil for state and non-state agents pursuing a political agenda against the Establishment. This gives bitcoin a prescient value as an instrument of expression and information exchange, but undermines its claim to hold any fungible value. It is one thing to trust the network to transact, it is another to value those transactions of code at near $20,000. Bitcoin’s unauthored genesis gives some indication of its latent power. Whoever begat the world’s first cryptocurrency, be it Satoshi Nakamoto or, more plausibly, a collaboration of people, they have been in denial and very publicly absent. While this affirms the principles of bitcoin being disinterested in identity of ownership, it also indicates a real fear that states will prosecute those they see as subverting their monopolies on money and its creation. The detachment from existing systems demonstrates how bitcoin’s creator(s) understood the brilliant simplicity of the blockchain technology, giving oxygen to a network to grow worldwide, via the internet. This created not just a market for bitcoin but its own, self-fulfilling, mandate. However, it is unregulated and volatile. Although recent avenues to trade might have opened up via ICOs and futures markets, the economic and political Establishment of Western market-based economies still perceives it as a threat to investors: a bubble, rather than a Reformation. Because this position enhances bitcoin’s contrast with the status quo, outsiders of the system, perceiving themselves as its losers, find cryptocurrency attractive. Nicolás Maduro, president of Venezuela, a state being failed by its government to the extent that children are now starving, recently announced that he would launch the ‘Petro’: A cryptocurrency backed by Venezuela’s wealth of natural minerals and outside of the “imperial” hegemony of the dollar. The validity of this currency is highly doubtable as no details have been disclosed. Although it would be the first cryptocurrency to be backed by a state’s natural assets, it cannot be seen in separation from Venezuela’s astronomical levels of inflation. Tellingly, many in Venezuela, looking to find value for their money, have turned to mining bitcoin (a cryptocurrency that has a network), or even using Amazon vouchers as money, such is the racing half-life of the fiat bolivar. Sadly, rather than a comment on the importance of non-government owned means of exchange, Maduro’s ambition to launch a new cryptocurrency is the cynical stumbling of an autocrat trying to unwind the catastrophic results of their economically illiterate ideology. The freedom enshrined in bitcoin is entirely absent. The same crypto-investor who championed the bitcoin’s role outside the established banking system criticised the “single point of weakness” inherent in a centralised, state-owned cryptocurrency and called the petro a “square peg in a round hole”. This shows two things: Politicians will want to harness cryptocurrency and the lack of trust between decentralised advocates and statists is likely to prevent cryptocurrency becoming money. 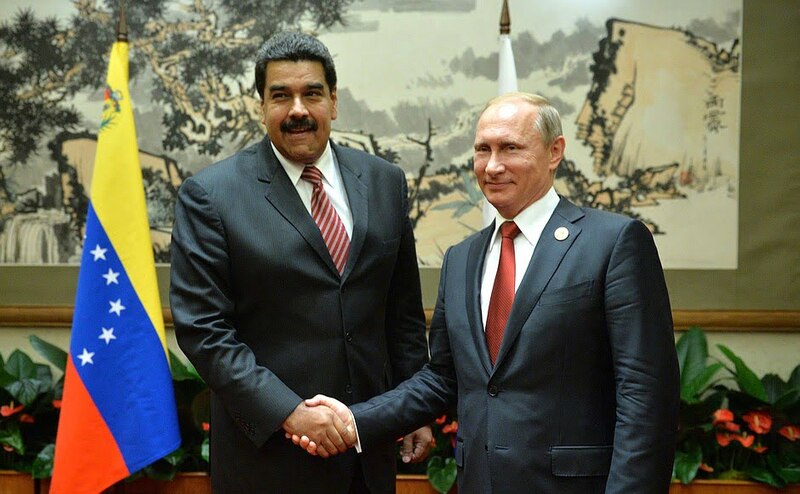 Might Maduro and Putin find different reasons to utilise cryptocurrencies? Nevertheless, cryptocurrency has political value as an alternative to the current money system. In this sense there are countries looking towards cryptocurrency in a decidedly more instrumental fashion than Venezuela’s. Although Russia has not licenced cryptocurrencies, the debate around their use abounds, not as a payment method, but as a means to mitigate US dollar dominance and pursue a geopolitical policy of payment in friendly currency. Over the last four years Moscow has made clear it understands the value of the internet when it comes to political subversion; bitcoin is not different to Facebook as a platform for this. In a country where the state seeks ownership of corruption, the anonymity of bitcoin will not be tolerated but the possibility given by cryptocurrency to create policy laden value vehicles is attractive to a former superpower now under political and economic sanctions by Western, market-orientated, states. Those sanctions indicate why cryptocurrencies can be a useful political medium. Like those placed on Iran they are particularly hard to bare for an industrial economy still centred around hydro-carbons. Like many such economies their fortune has largely been decided by oil price, dollar power and US-Middle East relations. That framework is now breaking as economies diversify and US geopolitical capabilities and attitudes change. There is no longer a necessary hegemony of the dollar. Cryptocurrencies provide a new framework for exchange, unowned by the Establishment. Because of a perception that bitcoin undermines Western institutions, states at the periphery of the global Establishment can do enough to question it simply by endorsing cryptocurrencies. Through bitcoin’s apolitical manifesto, it has engendered a very political, disruptive, democratisation – if cryptocurrency is the ‘internet of money’, it will be subject to all the same currents of agenda and political interest as the real internet. This sense of shift fits with a populist rejection of the status quo engendered globally by the internet. The phenomenal rush to cryptocurrency marks a rejection of a financial system still seen as a perpetrator ten years after the great financial crash. The consciousness of this is in the internet, mostly harboured within social media – itself a decentralised exchange of information and data. Much of the power of this media exchange network is in tying up large, unwieldy themes into comprehensible packages. These may be fundamentally assumptive but their accuracy is not assessed. Politically this gives licence to alternatives with indeterminate legitimacy. Bitcoin is the intellectual currency of the Fifth Estate, it is not money but, like the Fifth Estate, it is a platform for political influence. When Tallinn uses its own cryptocurrency to court e-residency and ICO hostings; Seoul calls an emergency government meeting to discuss regulation of cryptocurrency; Copenhagen considers enhancing its aid project with cryptocurrencies; the Bank of England dedicates multi-year research to the question “What new monetary policy tools could [a] central bank digital currency offer?” and Russian presidential hopefuls call for bitcoin to bypass sanctions, they are putting political capital by it. And when Federal Reserve chair Janet Yellen labels bitcoin a “highly speculative asset”, she is unconsciously placing it in a political context for those opposed to dollar hegemony. For many advocates of bitcoin the holding of a decentralised digital currency comes with a natural disdain for state backed fiat currency. This is timely as currencies continue to devaluate to the extent that it is now largely accepted their value will half every generation. Arguably the sentiment that has made bitcoin popular is grounded in the symptoms of the financial crash and the cure of quantitative easing: The printing of money has kept fixed yields low and equities and inflation high, exacerbating the divide between rich and poor. But a rush to bitcoin or any other cryptocurrency remains sentiment and is resulting in a bubble which is likely to further aggravate economic differences. That sentiment also, like the politicisation of bitcoin, highlights the premium on real independence. All current currencies remain under state yokes. A transcendent, global currency would give individuals freedom from state policy and debt creation and protect them from the decay of inflation and the punitive costs of transaction in competing fiats. Gold is the clear choice for a global currency; having lasted 5,000 years as the most identifiable store of wealth it should now be available to everyone as the best form of money. Bitcoin has illustrated the potential of digital networks to provide efficient economy but also to serve corruption. There is a need for an immutable, identifiable, independent and trusted currency to be used digitally: namely gold. While the rise of cryptocurrency continues we should see bitcoin as an increasingly socio-political animal. Bitcoin at $20,000 may herald a triumph for alternative exchange networks and the beginning of blockchain’s technological dominance but it will be an expensive mistake for anyone seeing value beyond this. Bitcoin is a husk of financial value but a harbour for exploitative political capital.